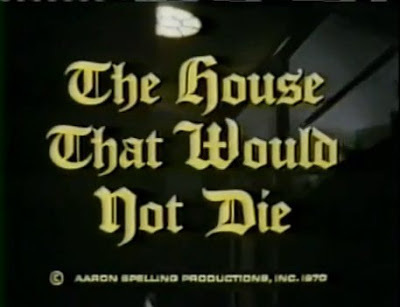 "The House That Would Not Die" is an ABC Movie of the Week, Aaron Spelling production that first aired in 1970 starring Barbara Stanwyck, Kitty Winn, Richard Egan and Michael Anderson Jr.
Ruth Bennett (Stanwyck) and her niece Sara (Winn) move into a large house in rural Pennsylvania that is centuries old, after inheriting it from a distant cousin. As soon as they move in, Sara feels that they belong there. Neighbor, Pat McDougal (Egan) is quick to introduce himself on their first day and he and Ruth become close rather quickly. 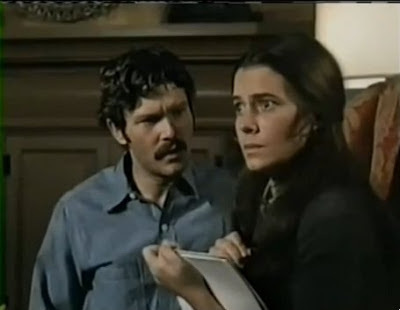 Pat introduces Sara to Stan Whitman (Anderson) and they also hit it off. The house is old and there are spirits roaming. There are secret rooms and sections of the cellar that have been boarded up. 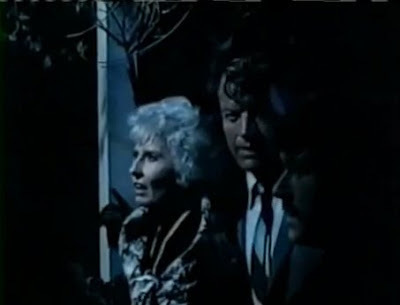 Ruth starts to hear a male calling for someone during the night. Sara starts to act weird and there are strange manifestations of wind in the house and sweet Sara even attacks her! 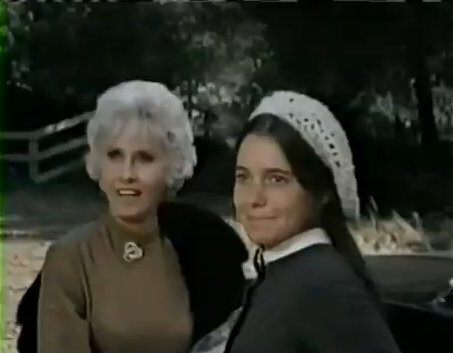 Of course some of the locals want to hold a seance and Ruth agrees. The haunting starts to get worse after that. 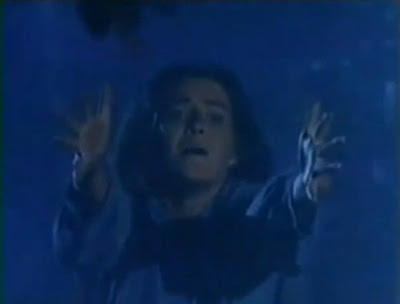 Even Pat seems to get possessed by some evil spirit while he's in the house. Can they figure out the mystery from the past that keeps these spirits haunting the house? Will they all survive the house that will not die!? This is a great representation of the 70s tele-fright films that I love so much. It's got the spooky old house, windy nights and spirits a haunting. 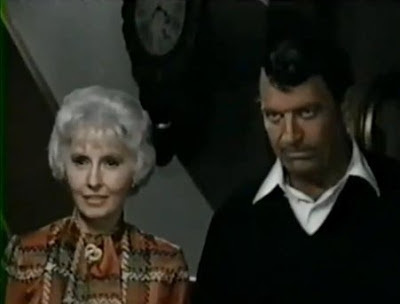 It's also got the ever wonderful Barbara Stanwyck who always looks smart in a different gown in almost every scene. Check this movie out on a dark night or a rainy afternoon and enjoy an entertaining and haunting story that may become one of your favorites of the genre too.